The youth with the psychic powers has appeared—it’s Lucas! 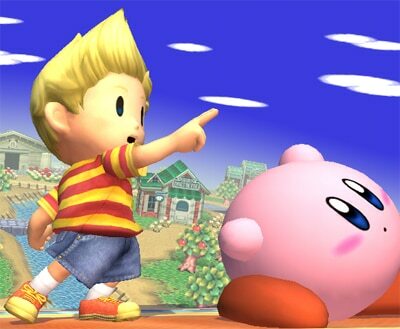 He makes his anticipated debut from the Japan-only release MOTHER 3. 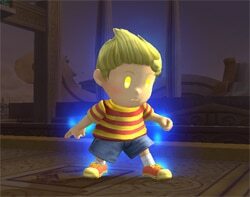 There’s a character named Ness who has appeared in the Smash Bros. series up until now, and Lucas is very similar. They are from the same family of PK users. 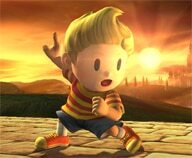 But Lucas’s physical combat style is quite different. 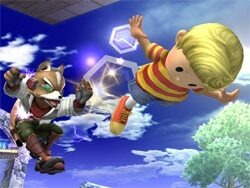 By which I mean, he does not have the same standard moves. 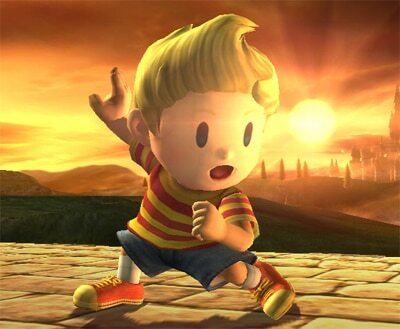 His strong up attack is a mentally-powered flip kick. He unleashes a PK barrage on the ground with his down smash! The finish of his back air attack is a meteor smash. Oh! 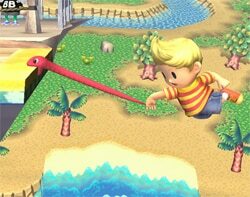 Is he grabbing the edge with his rope snake?! 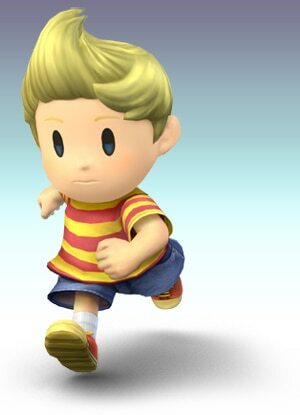 This is also quite different from Ness’s. 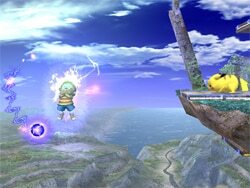 It flies perfectly sideways, even in air. You can freeze your opponents! 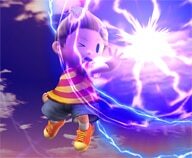 And even more threatening is his PK Thunder. For those of you unfamiliar with the last game, or the one before that, remember this well. And hit yourself with it to launch! Doing this helps you recover. 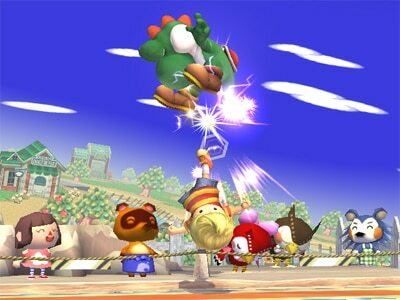 The angle you launch at depends upon the position at which the PK Thunder hits you. 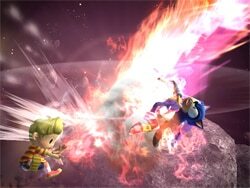 This launch also makes for a rather powerful attack, so I think it’s fine to even try it unexpectedly. 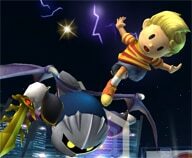 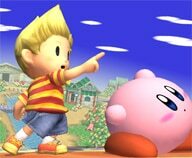 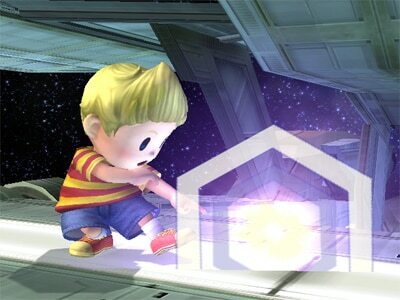 This move absorbs the energy of projectile and other attacks and uses it to recover Lucas’s damage. 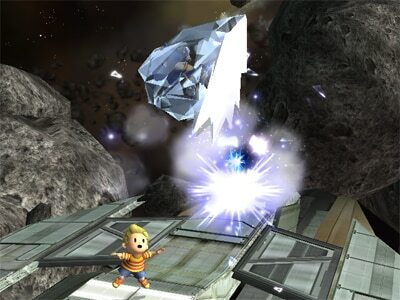 It has a wide range of effectiveness, so give it a try when you get the chance. If an enemy uses a projectile, that’s your chance. Lucas’s Final Smash is PK Starstorm! 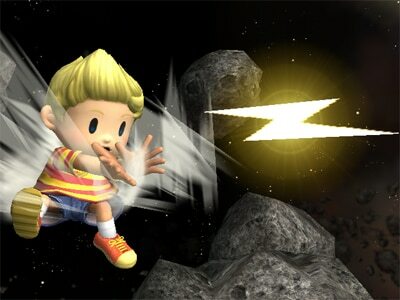 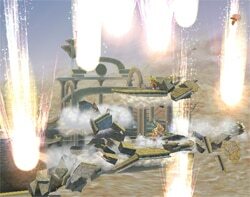 It’s a move in which he unleashes a rapid barrage of meteorlike PSI power. 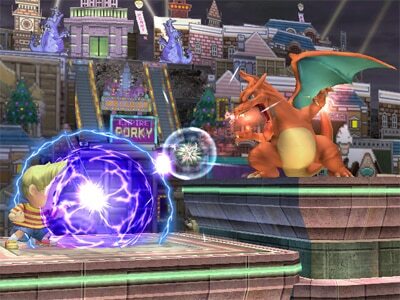 After a fierce battle, he gets the Smash Ball! 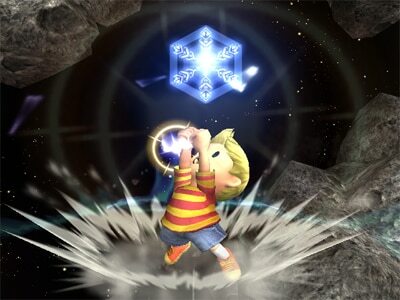 As the star storm continues, the tension increases. They all rain down at once. 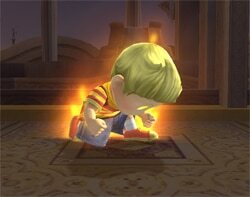 Can you possibly escape it?! 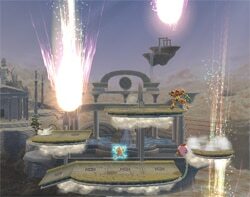 It may be that it’s less advantageous on larger stages and more advantageous on smaller ones. 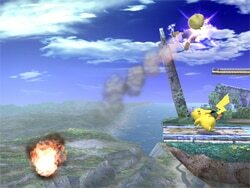 There are a variety of moves like this that have clear advantages and disadvantages depending on the terrain.